Former combat medic Kory Wagner has been in four war zones, served three tours in Iraq, survived countless firefights, RPG’s, IED’s and even a helicopter crash. Now she’s home and out of the Army for good and someone is trying to kill her in her own backyard. Just as disturbing is the handsome sheriff who’s on the case. Sheriff Sean Harding doesn’t quite know what to think of the decorated veteran that managed to outsmart an entire search party. What bothers him more is the body of a PI, whom she hired to find her sister's killer, was found dead in a building Kory owns. And Kory isn’t being very cooperative with helping him find the answers as to why someone would kill her sister and want her dead. Will he be able to keep her alive along enough to discover the truth? The steel door creaked as she pushed it open, the sound echoing throughout the metal building. "Mr. Urlik?" She waited for her eyes to adjust to the change in lighting before stepping all the way inside. A wide stream of light from the door spread out in front of her. "Mr. Urlik. Are you in here?" Kory heard a sound a few yards in front of her. She quickly scanned the area. Three rows of huge metal shelves lined the interior. She inched forward, peering around the corner of the second row. Mr. Urlik lay on his side, facing her, clutching his chest. His eyes were opened and his mouth moved, but no sound came out. A heart attack? She ran to him, knelt down on the cement floor, and took his hand. It was wet, slimy. She looked down and saw his hand covered in blood. Her eyes shifted to his chest. A large crimson stain spread across the width of his white shirt from a small hole near the center. He was breathing erratically. 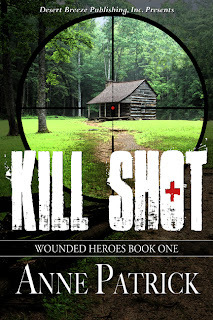 Experience told her a bullet had pierced at least one lung and he didn't have much time. She immediately pressed the heel of her right hand against the wound. "Where's your cell phone?" Hers was in her backpack but she didn't want to waste valuable time digging it out. "Who did this, Mr. Urlik?" He grabbed her right hand and squeezed it tightly. "You were right -- no accident." Kory felt something in the palm of her hand, looked down and saw it was a key. She shoved it into her jeans pocket. 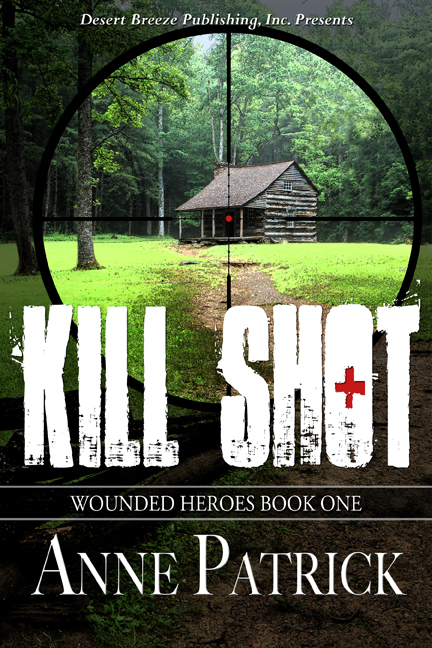 A whizzing sound buzzed past her, followed by the unmistakable clink of a bullet ricocheting off metal. She instinctively threw herself over his body as another bullet struck metal. Kory felt for a pulse. There was none. She lowered her hand to his chest and felt under both arms and along his waist. I thought all PIs carried guns. Just my luck this one didn't. She scrambled to her feet, as more shots ricocheted around her, and dove through an opening on the first row of shelves. A piercing pain sliced through her upper arm as she took cover behind some boxes. They wouldn't shield her from the gunfire but they would conceal her presence while she figured out how she was going to get out of there. She paused long enough to grab her cell phone from her backpack, wishing she hadn't when another bullet tore through a box beside her. She ducked lower to the floor. Kory ignored the throbbing in her arm and slithered along the floor toward the back of the building. As a child, she and her sister, Callie, had often accompanied her grandfather to the warehouse where he worked on boats as a hobby. She remembered a back exit that led to the side parking lot and nearby woods. If she could reach the door, she had a chance of getting out of this alive. She looked down at the tear in her shirt, drenched with blood. To learn more about Anne, please visit her website: http://www.annepatrick.weebly.com (where she has monthly giveaways) or her blog: http://www.suspensebyanne.blogspot.com .